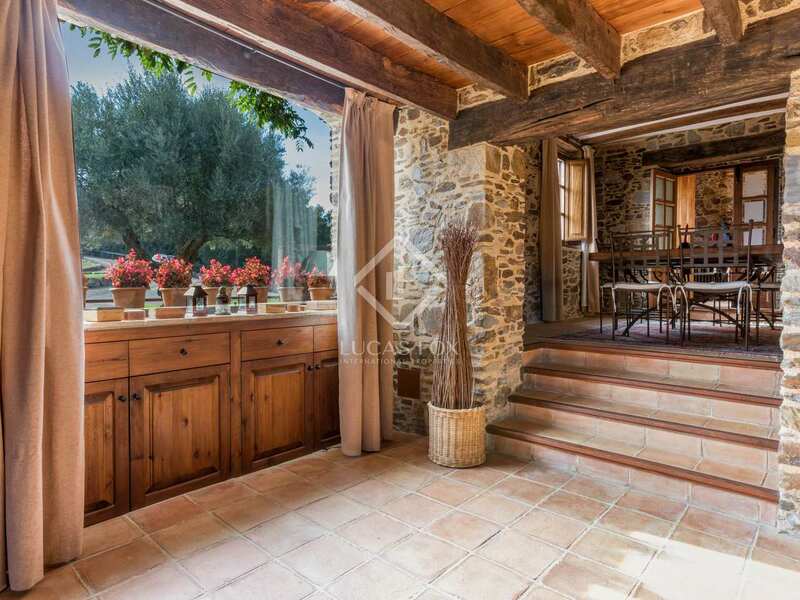 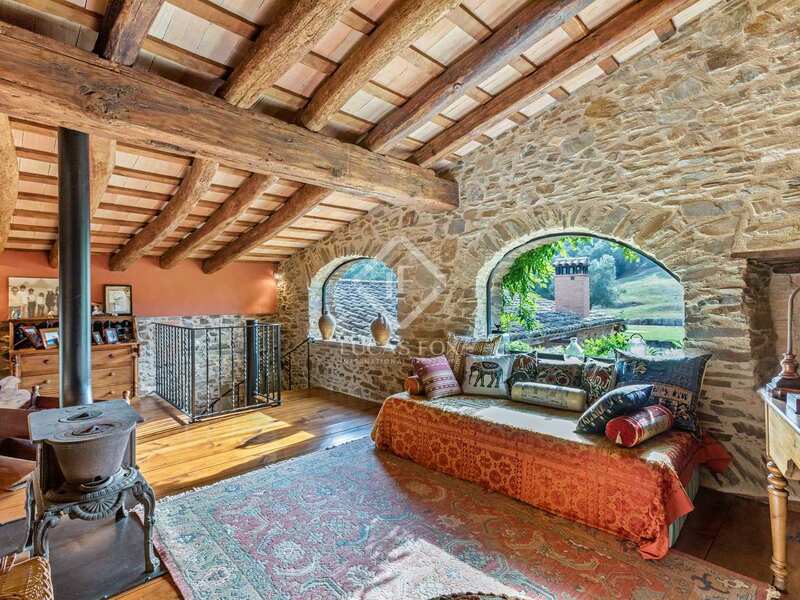 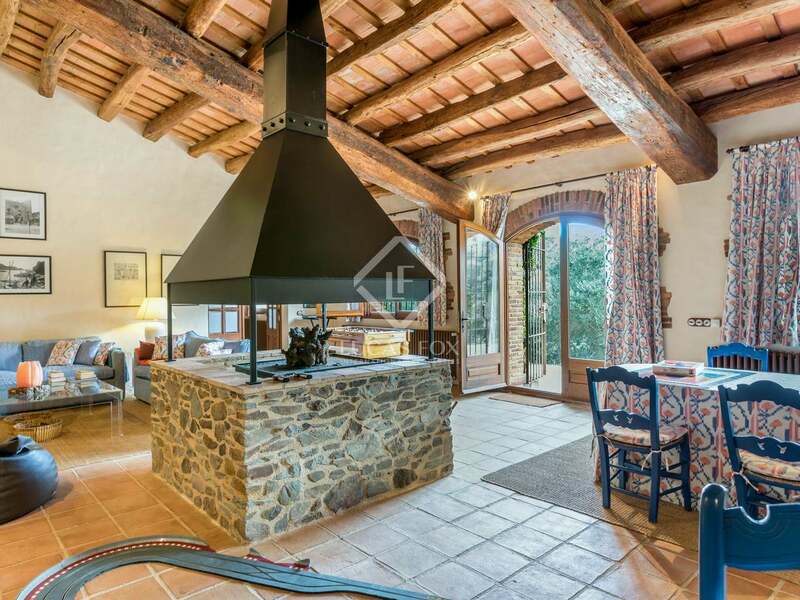 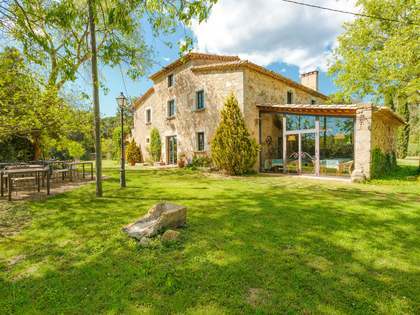 This magnificent Girona country house to buy is nestled amongst the hills of the Gavarres Natural Park, sitting in a natural setting and surrounded by woodland. 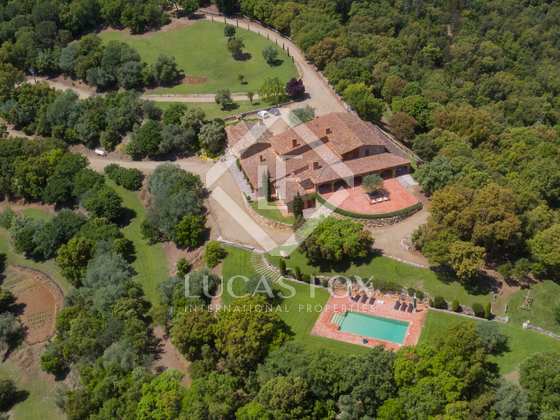 The property is the very epitome of peace and tranquility. 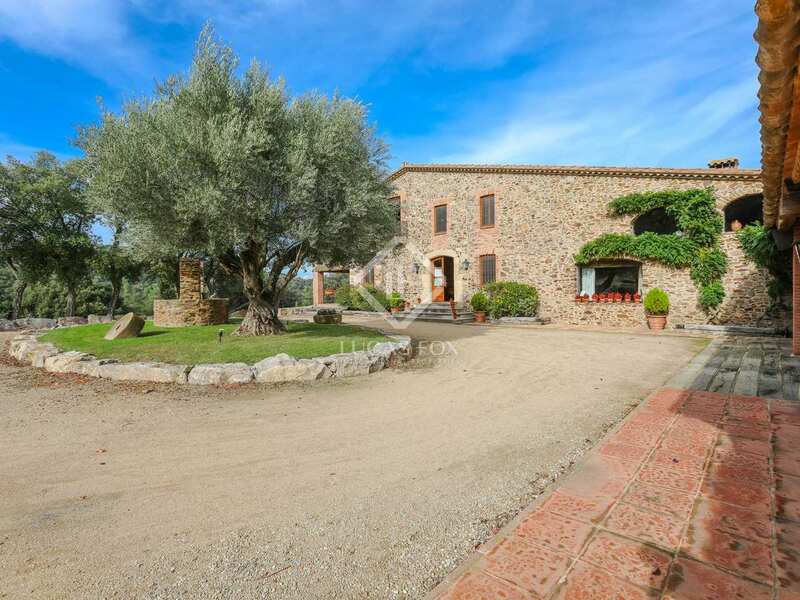 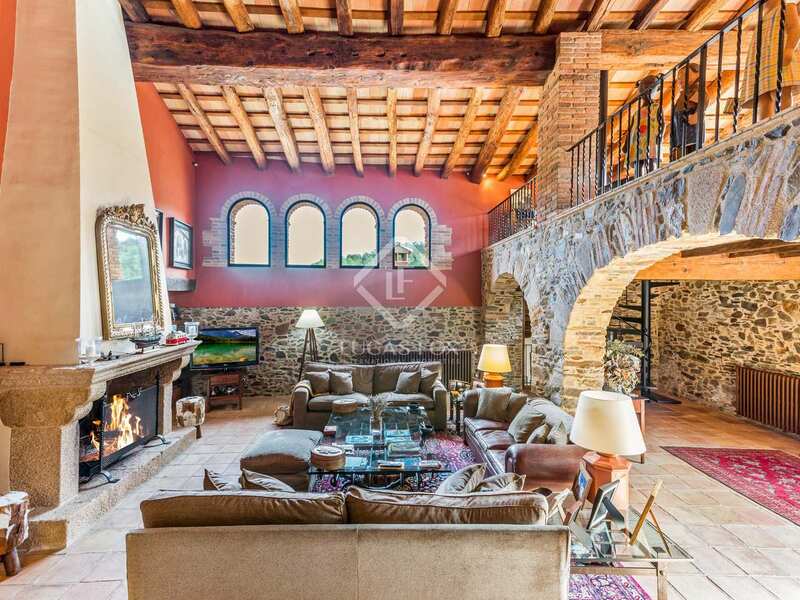 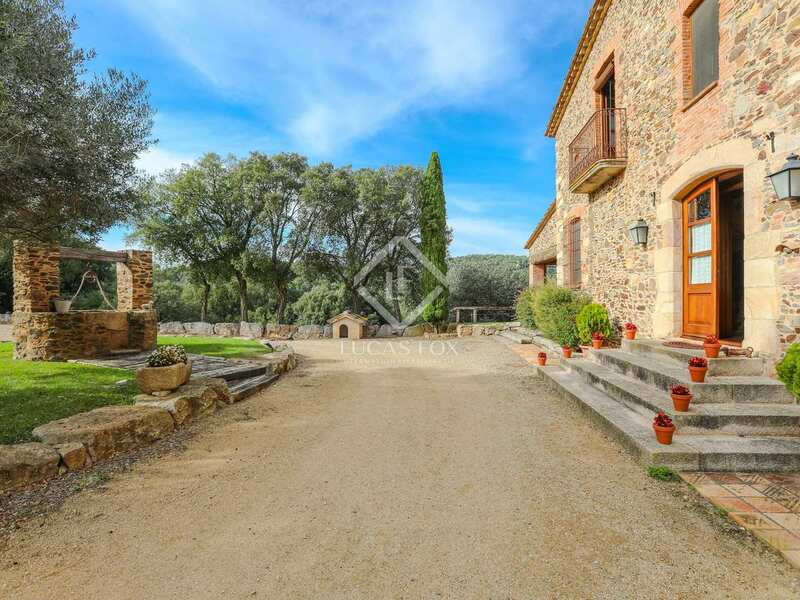 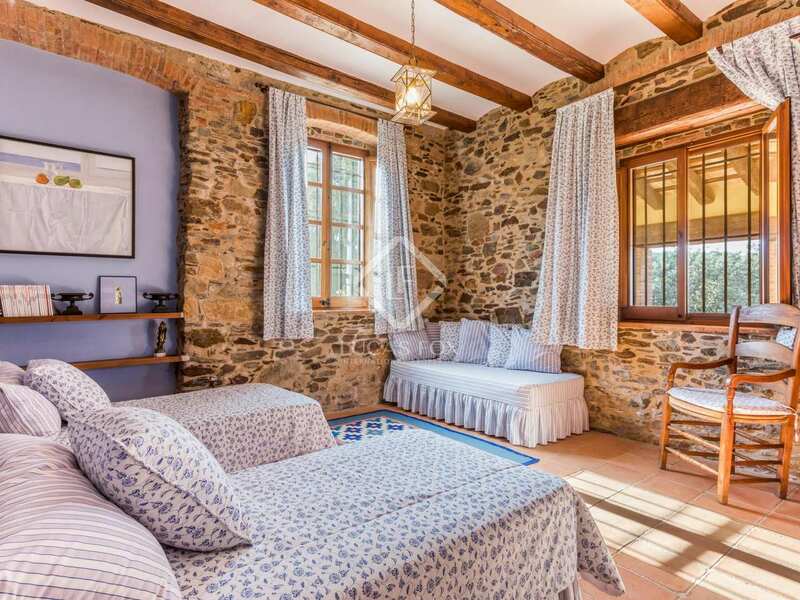 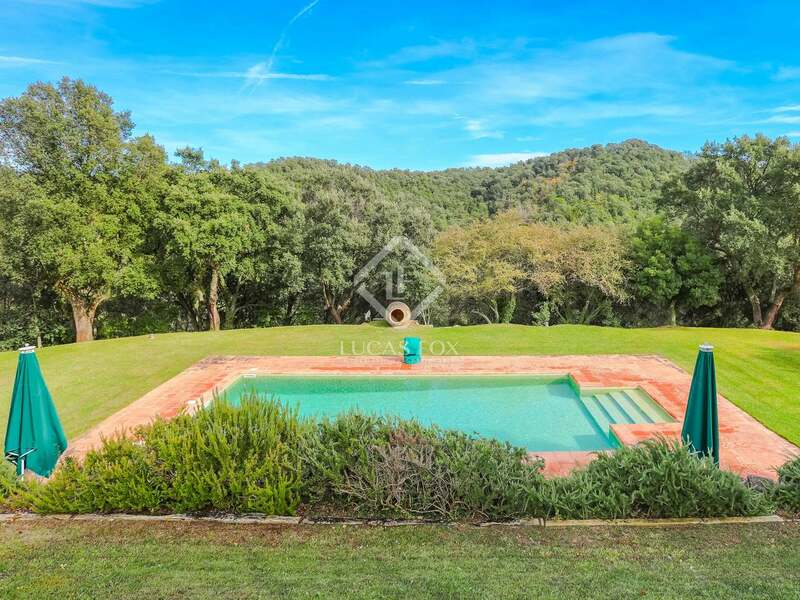 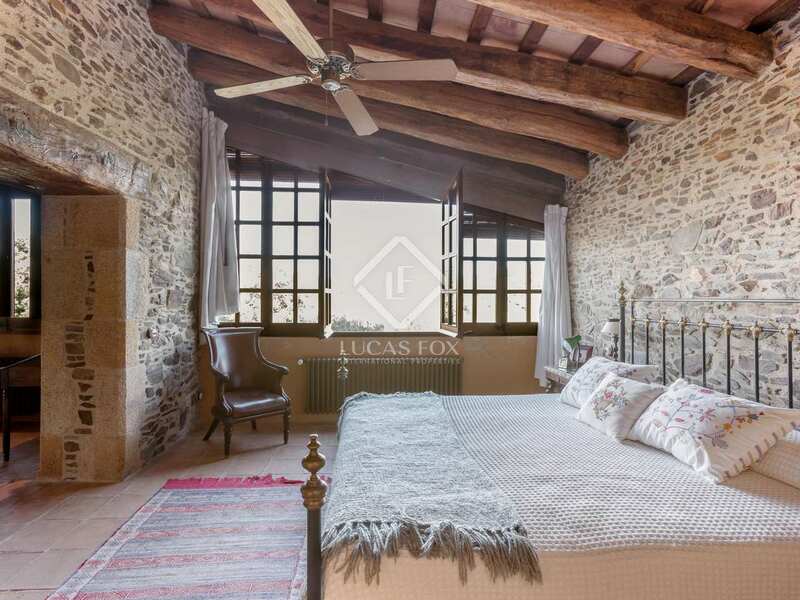 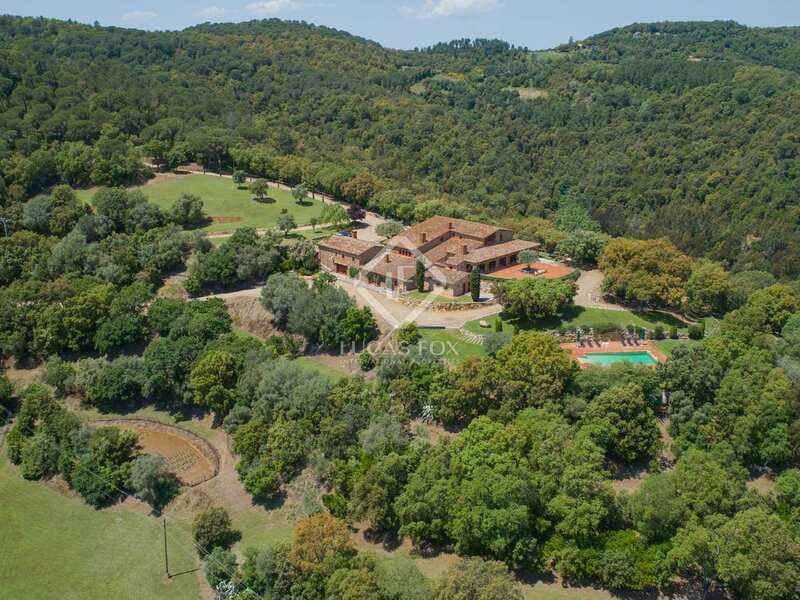 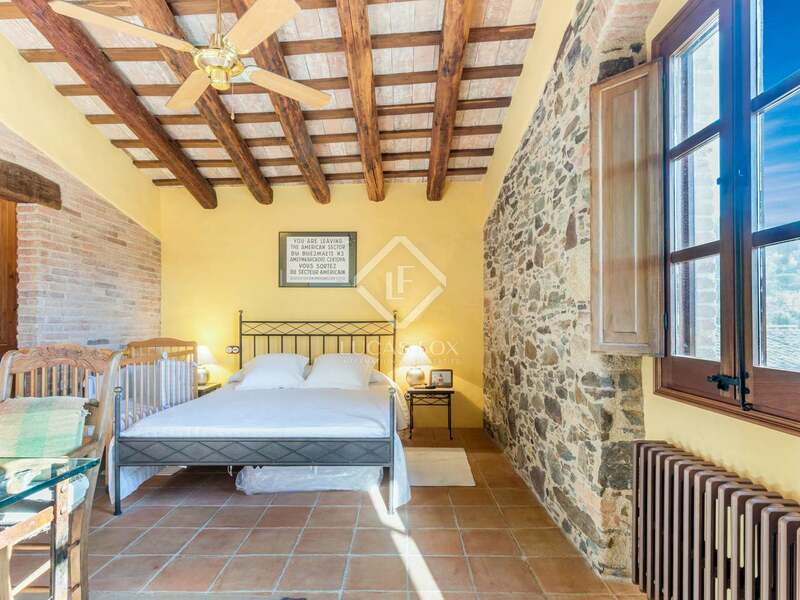 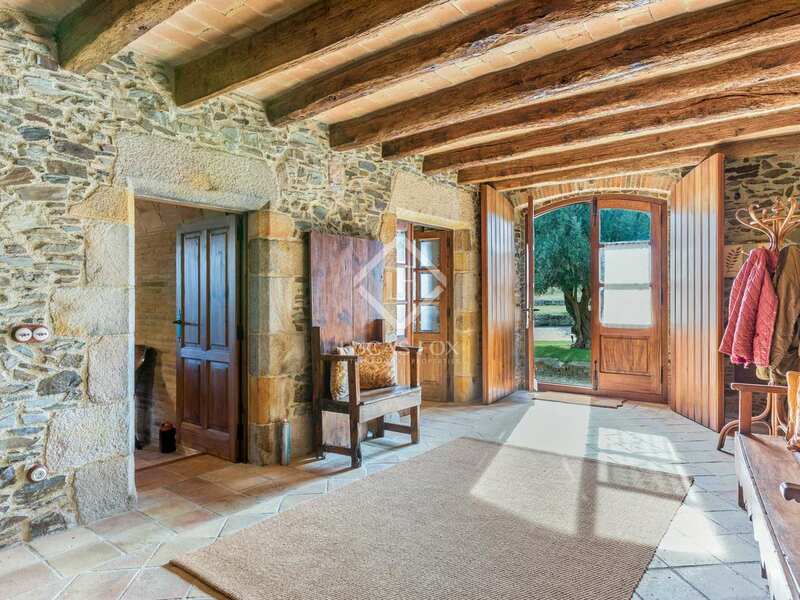 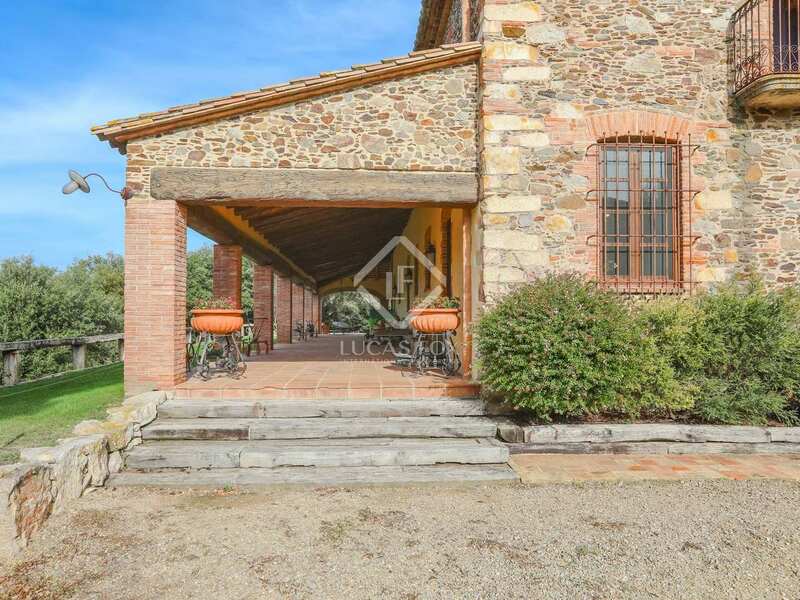 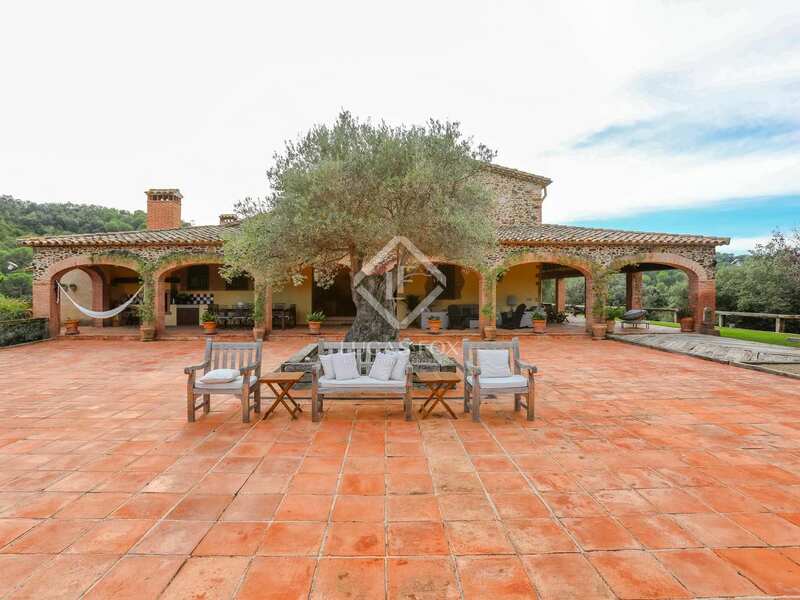 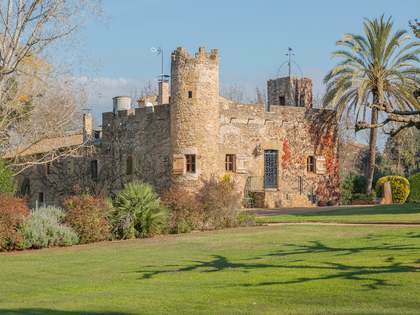 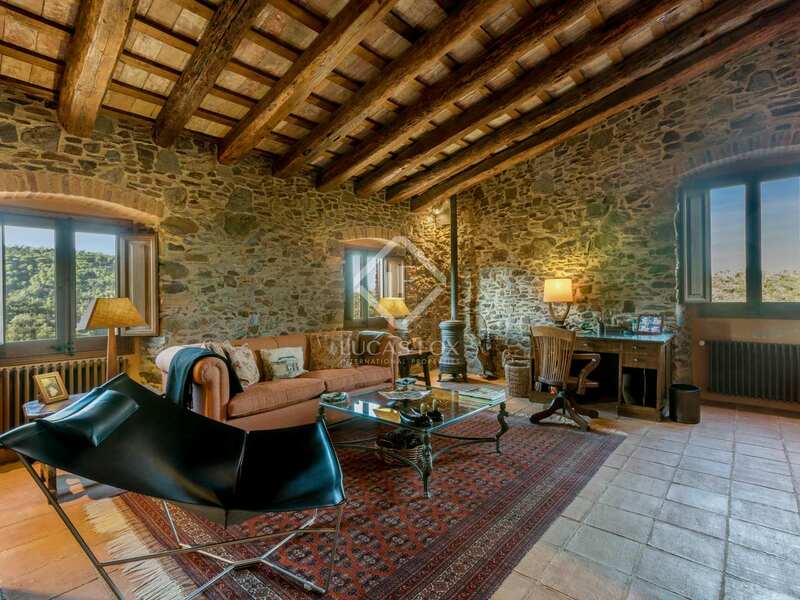 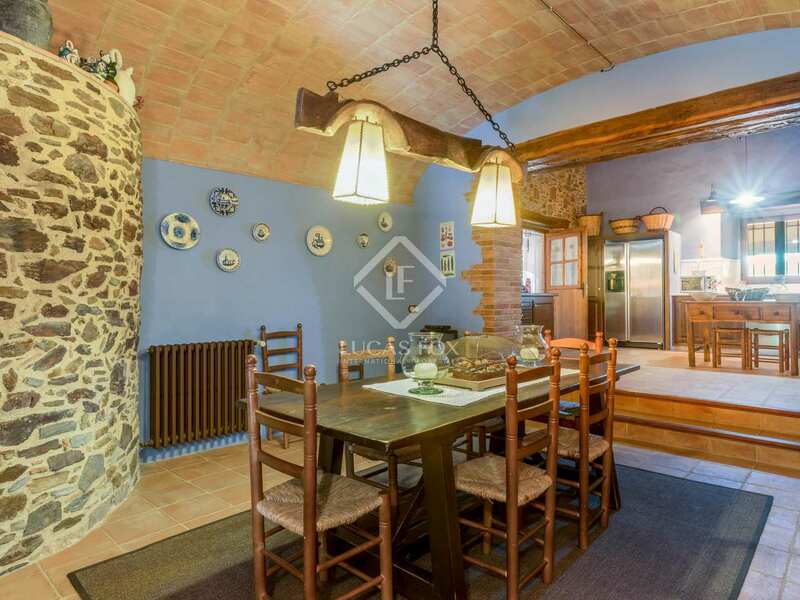 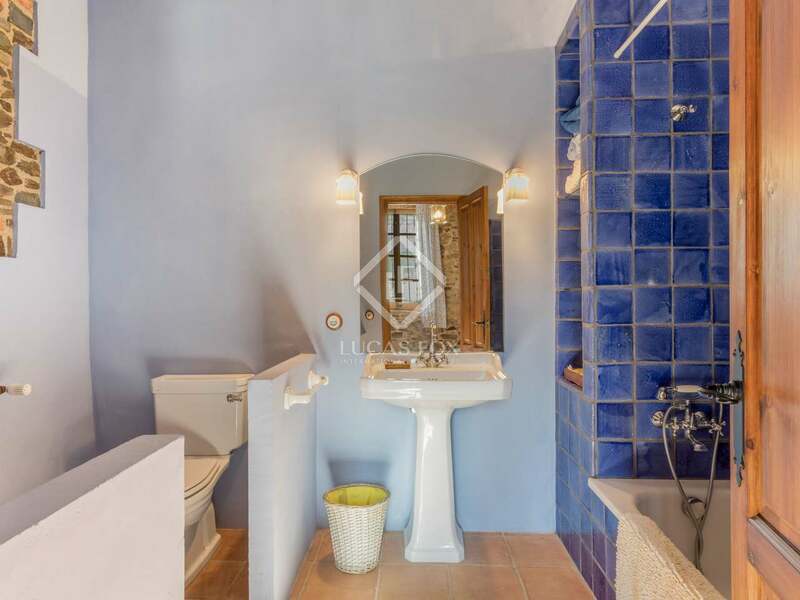 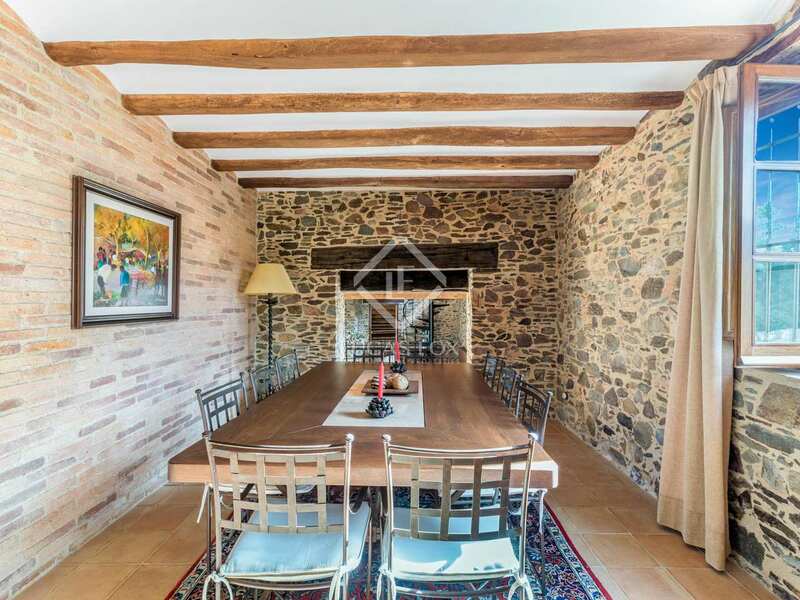 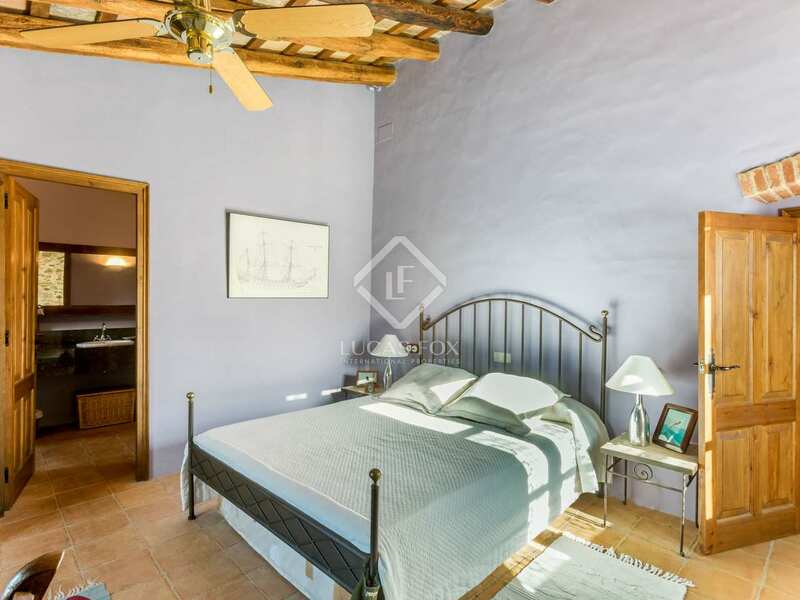 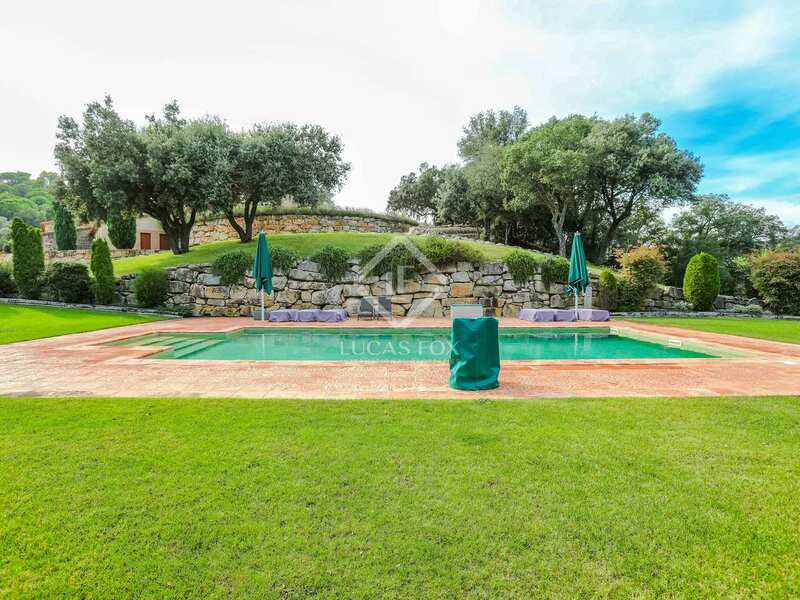 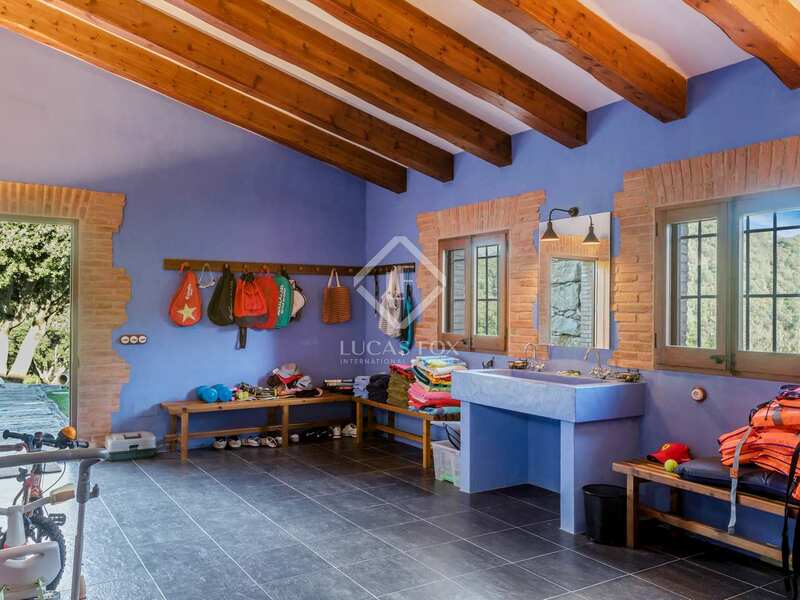 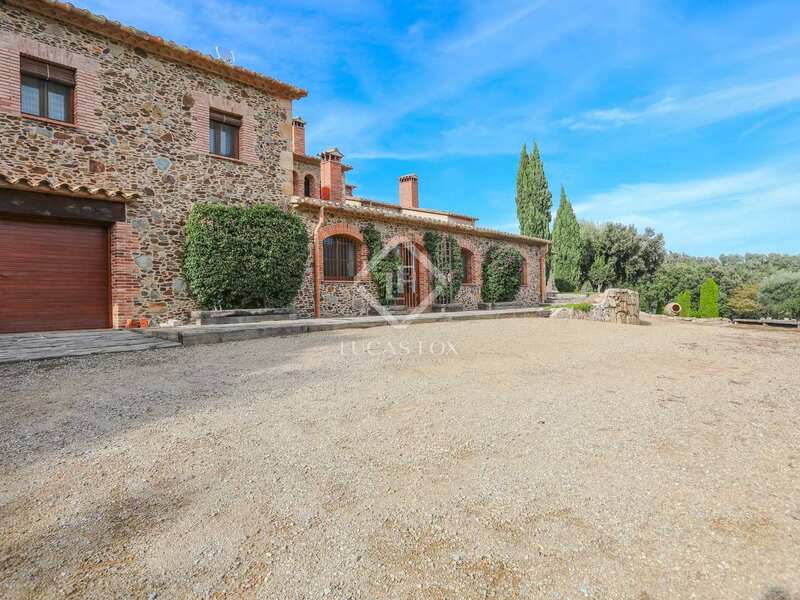 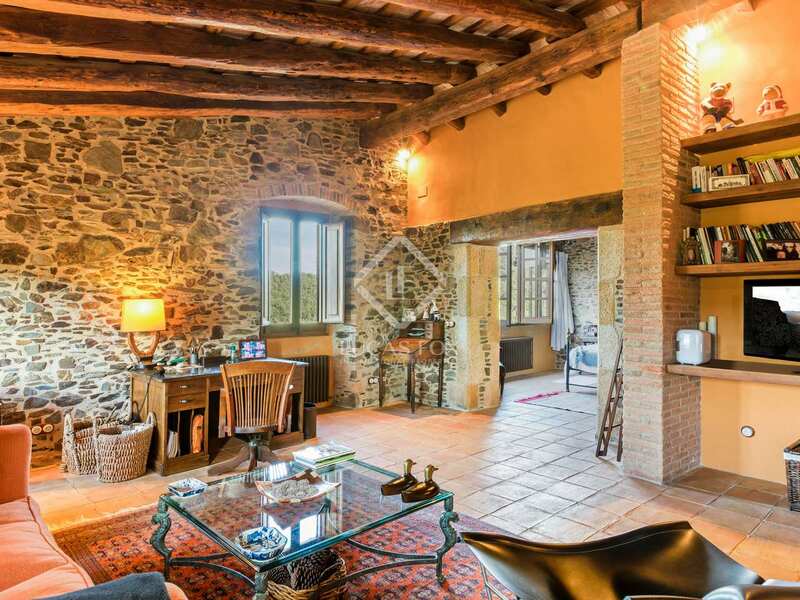 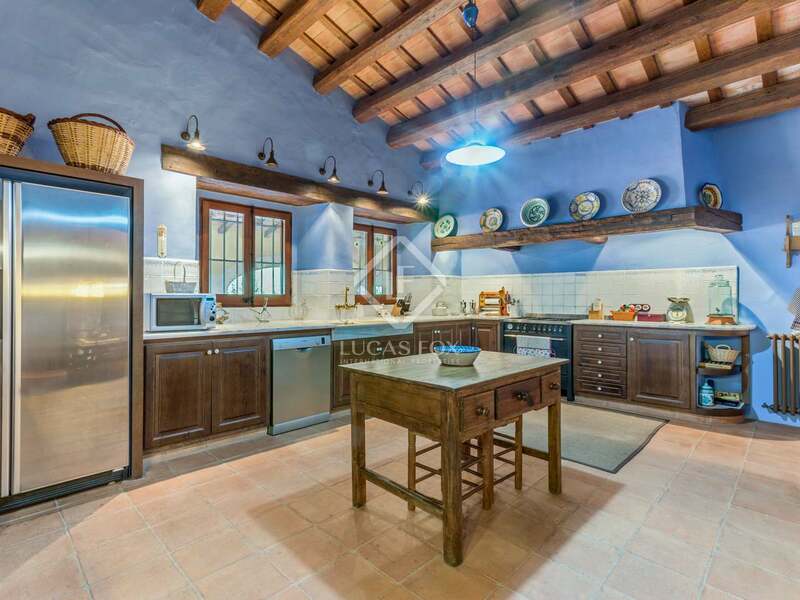 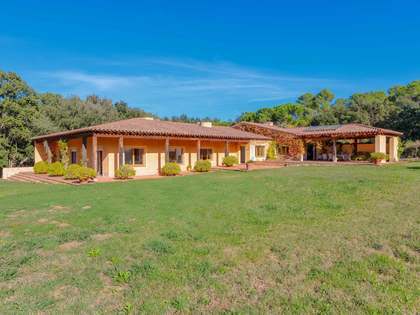 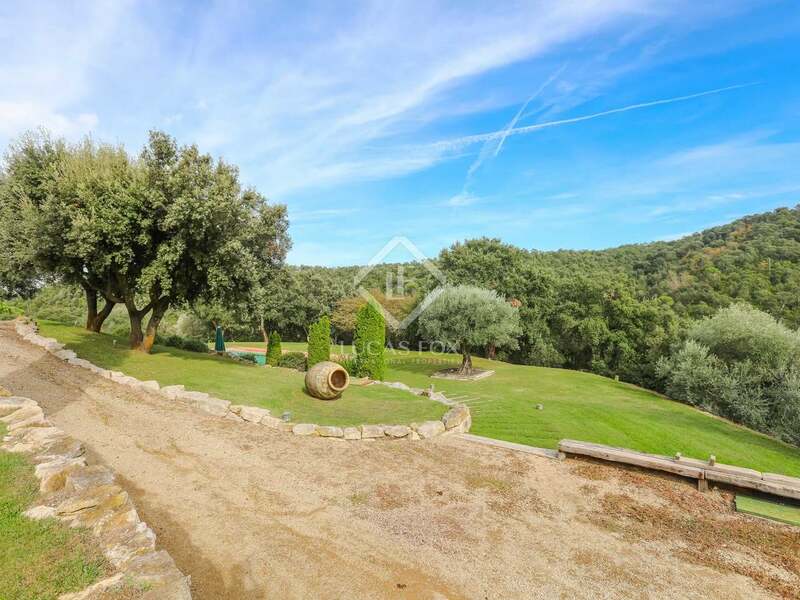 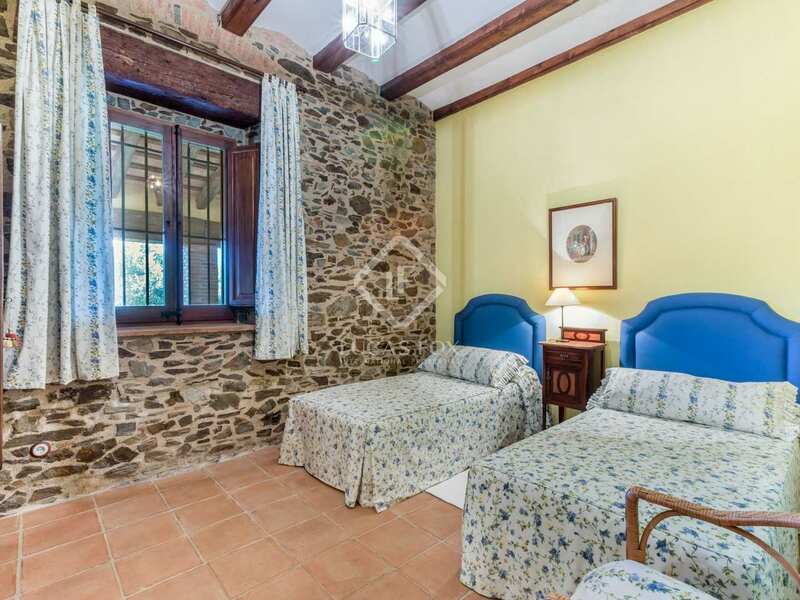 This beautifully restored country masia sits within 52 hectares of private land and provides the perfect getaway for a buyer looking to escape to the country. 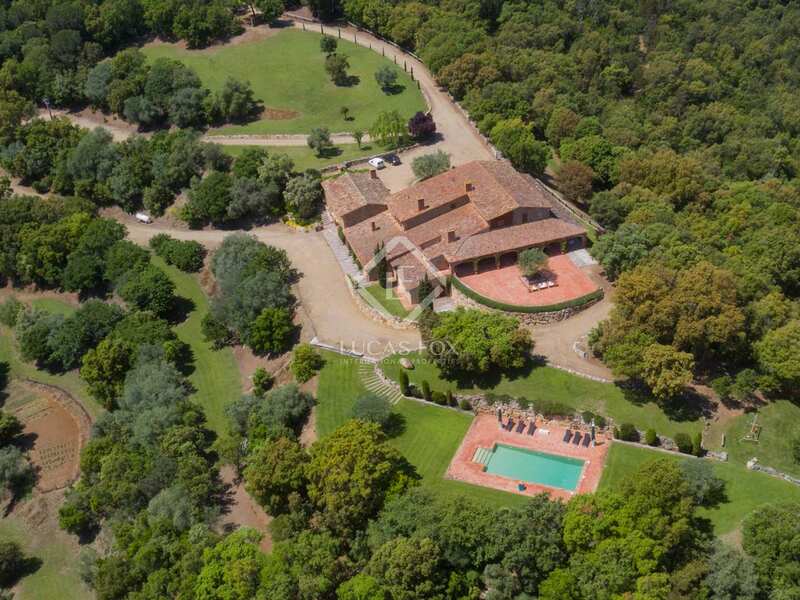 Access is via a 1km country track through stunning woodland. 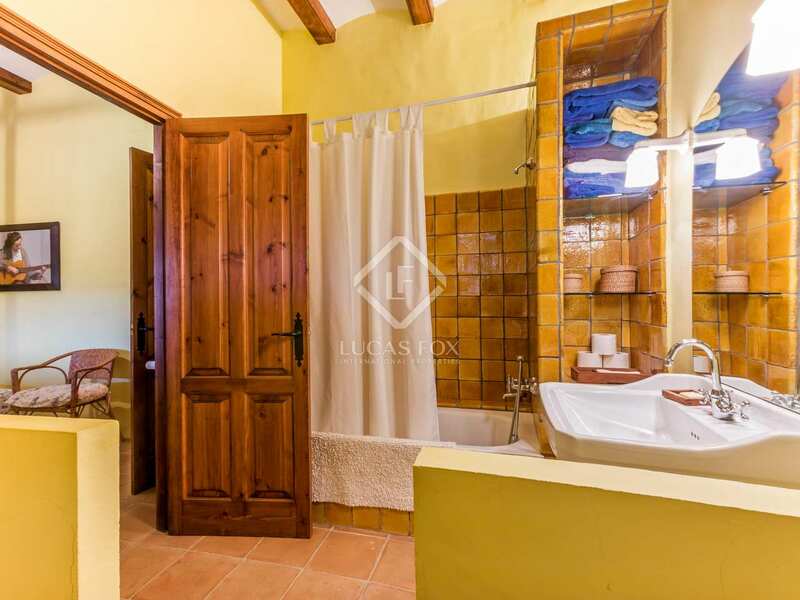 Once you arrive at the property it offers everything that one could wish for and is perfectly equipped for year round living or as a luxury second home. 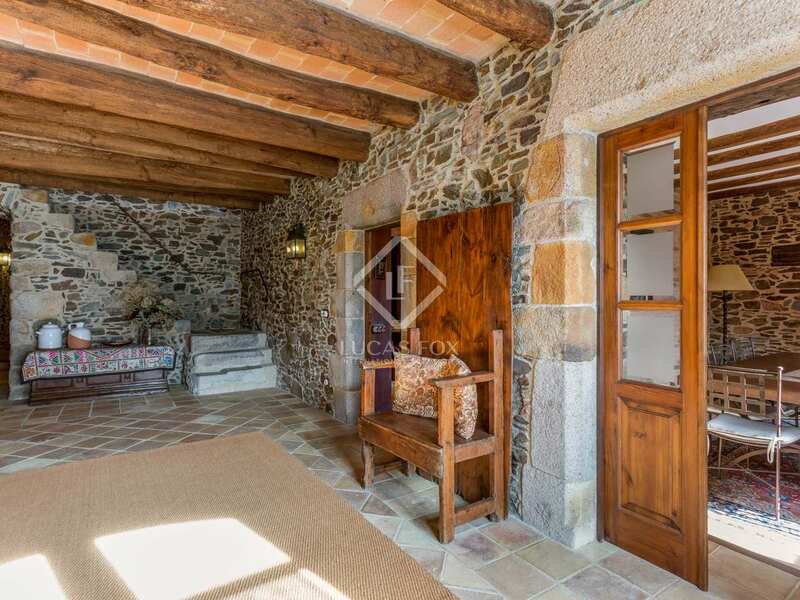 The restoration of the ancient farmhouse was meticulous and thorough, with only the original and finest materials used - from the wooden beams to the handmade tiles. 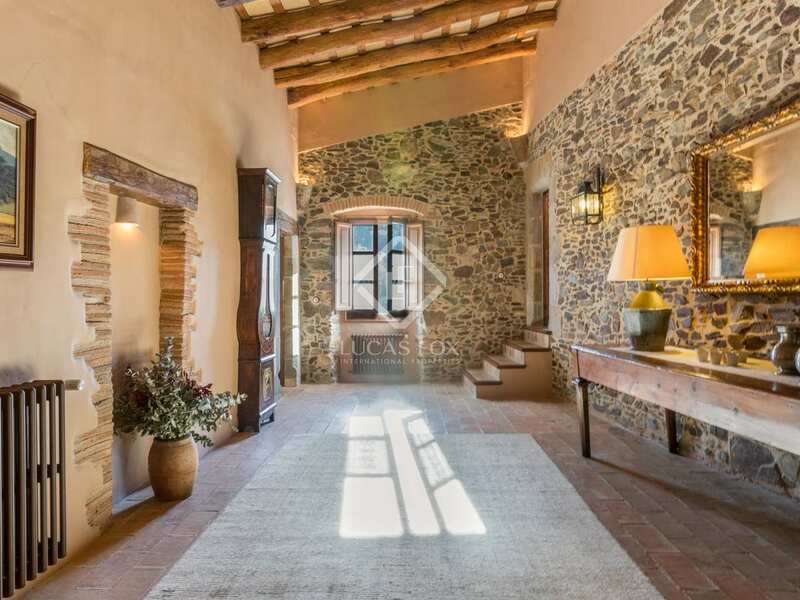 The original Catalan vaults and arches have all been maintained and are in keeping with this centuries old masia. 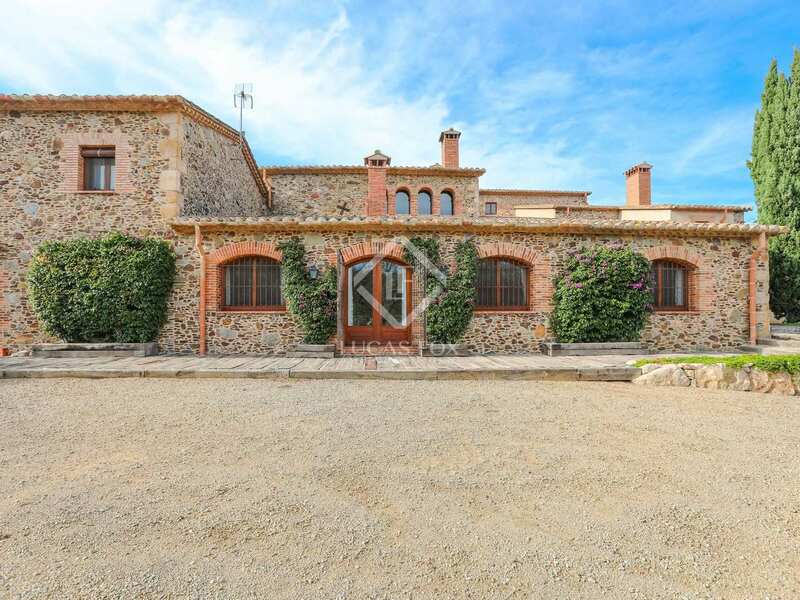 The house has seven bedrooms, each one with an en suite bedroom. 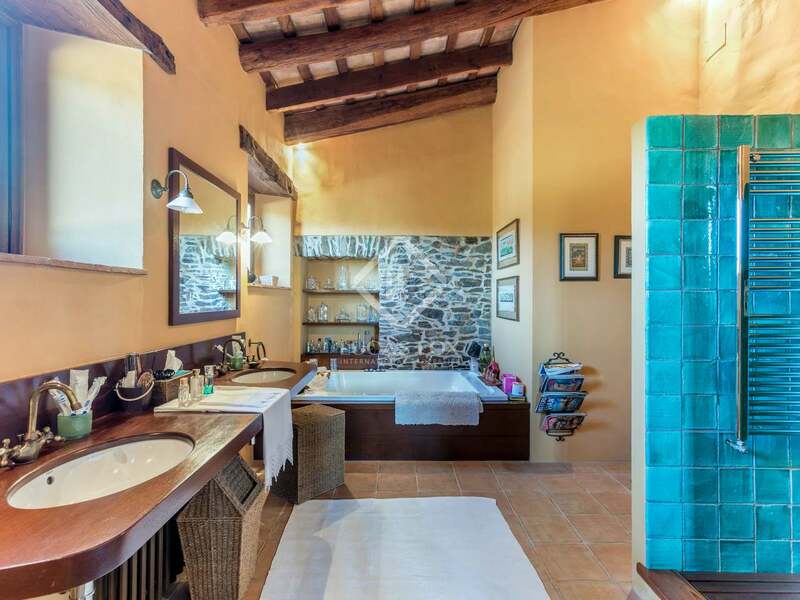 The master bedroom has its own salon area and a Jacuzzi bath. 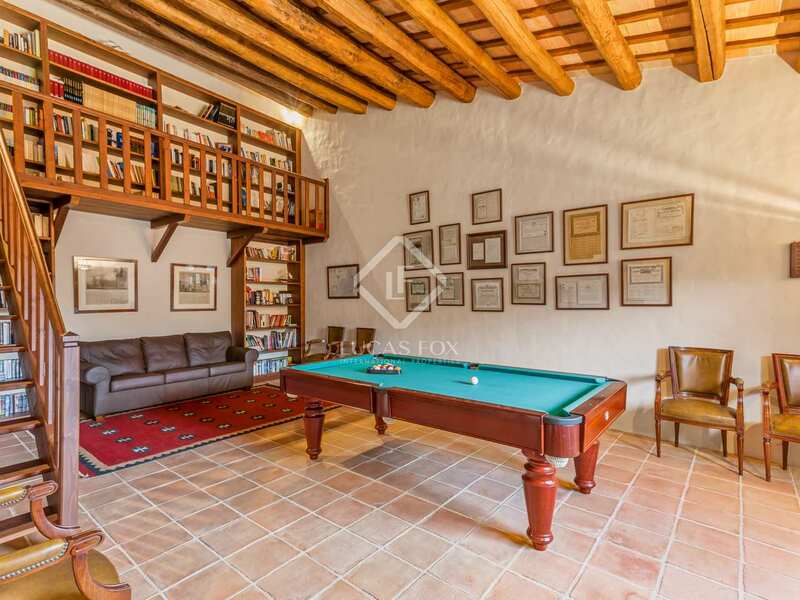 There are two extensive living rooms, a snooker room, a kitchen with breakfast dining table and a dining room, ideal spaces for lavish entertaining. 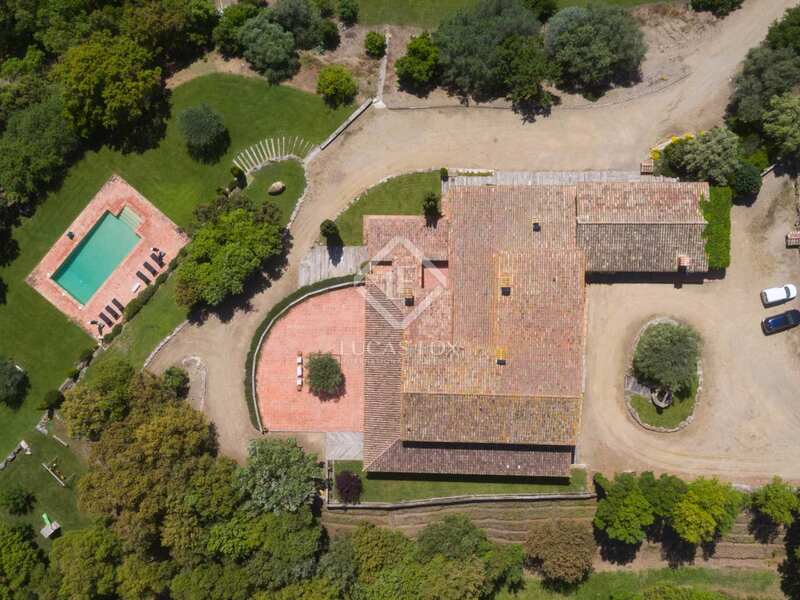 Outside there is a large 20 x10 salt water pool and changing rooms. 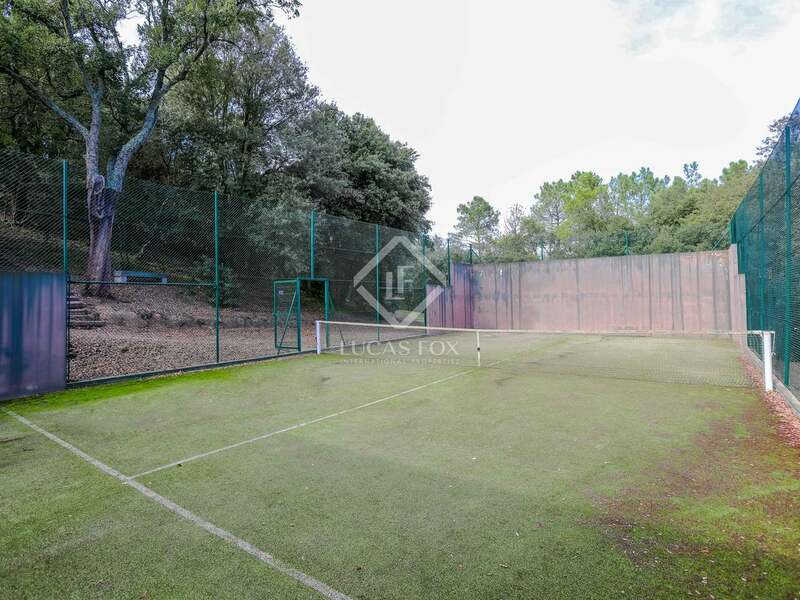 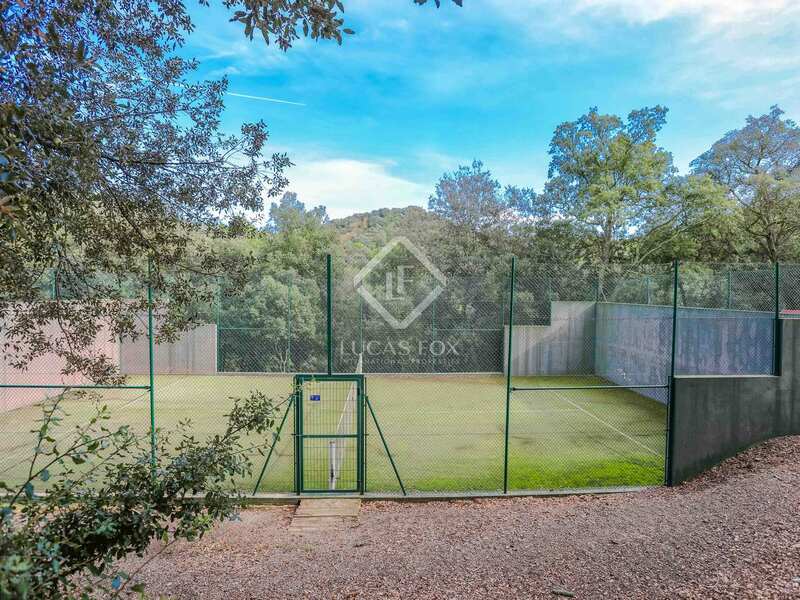 There is also a paddle tennis court, a vegetable garden, several wells and a back-up gasoil generator, ensuring the house is never cut off from utilities. 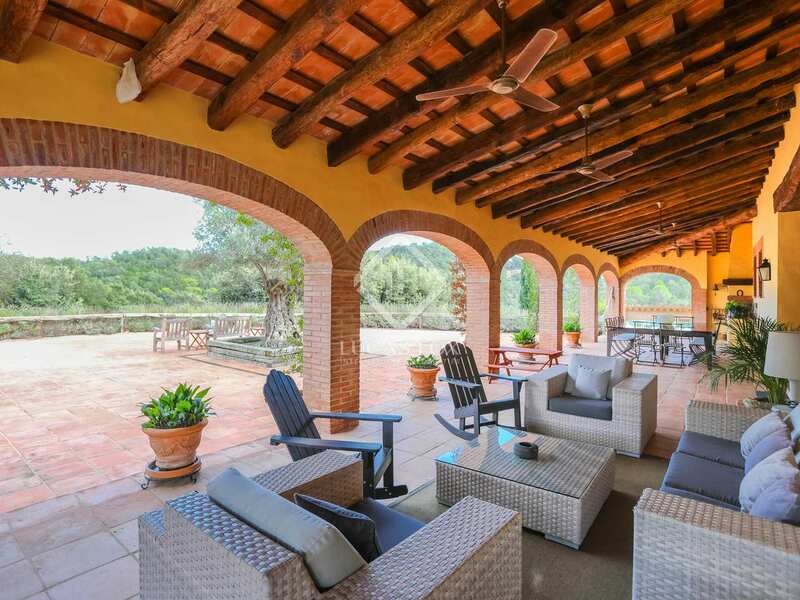 Along two sides of the property is a large covered terrace with purpose built BBQ and beautiful outdoor dining and lounge areas - ideal for enjoying the stunning countryside views. 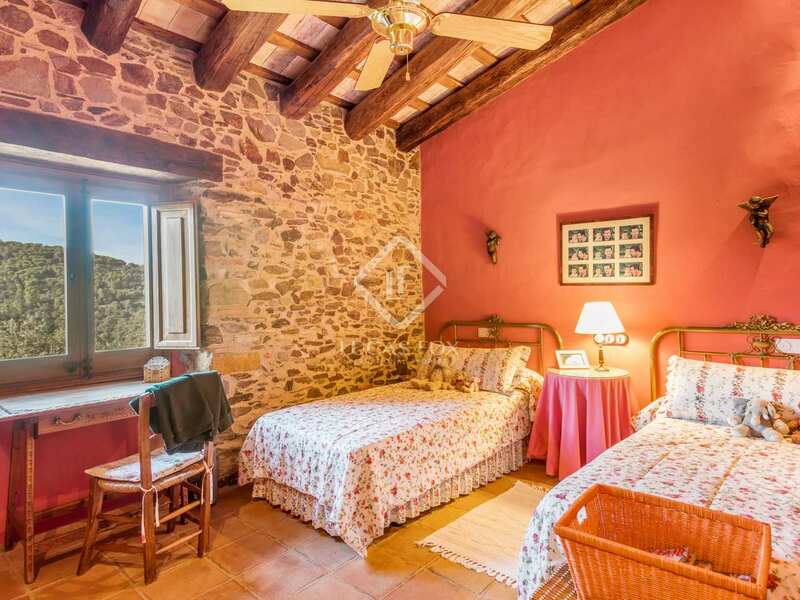 The views across the countryside are, indeed, breathtaking and whilst being hidden in the middle of the countryside, Girona city and its international airport are less than 20-minutes away by car - as are the nearest beaches of the Costa Brava. 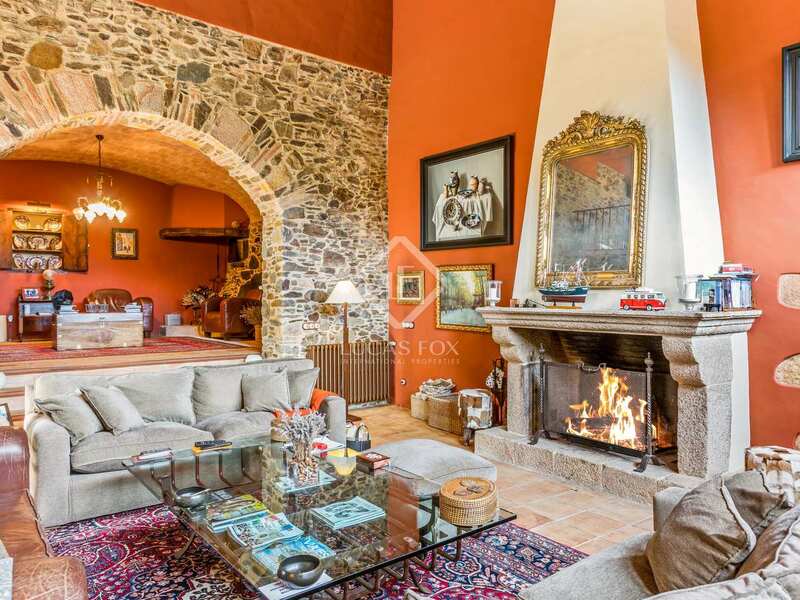 Ground floor: Entrance hall; split level reception room with, beautiful stone fireplace, arched windows and a mezanine gallery access via an iron spiral staircase; dining room with seating for 10; fully equipped kitchen with breakfast dining area and access to the summer porch; laundry room; large pantry / wine cellar; large reception room with central fireplace; billiards room with library gallery; large garage / storage room with direct access to the two bedroom staff quarters (also with kitchen and living room); three double bedrooms, all with en-suite bathroom; guest WC. 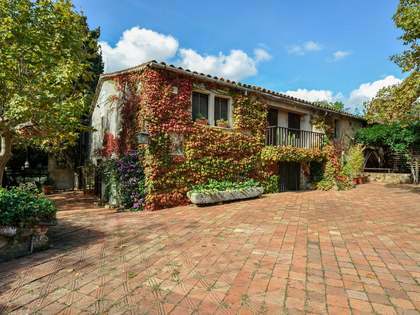 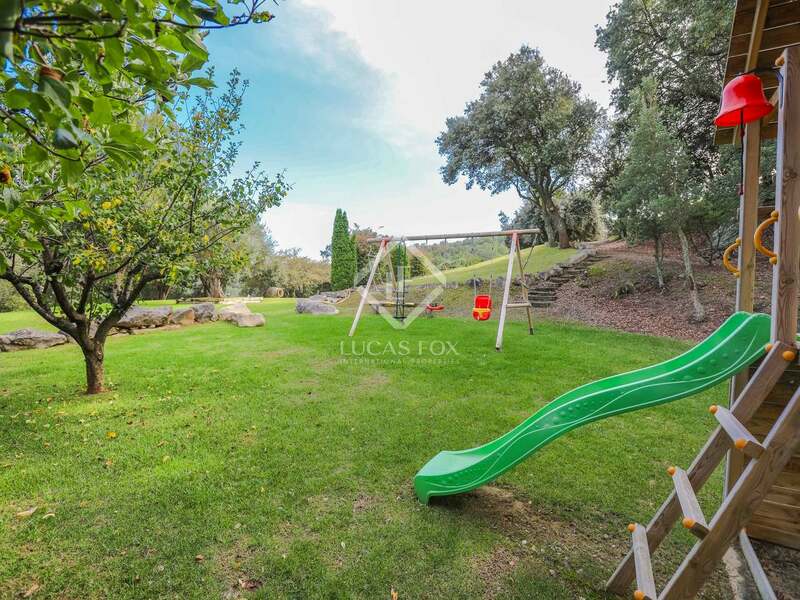 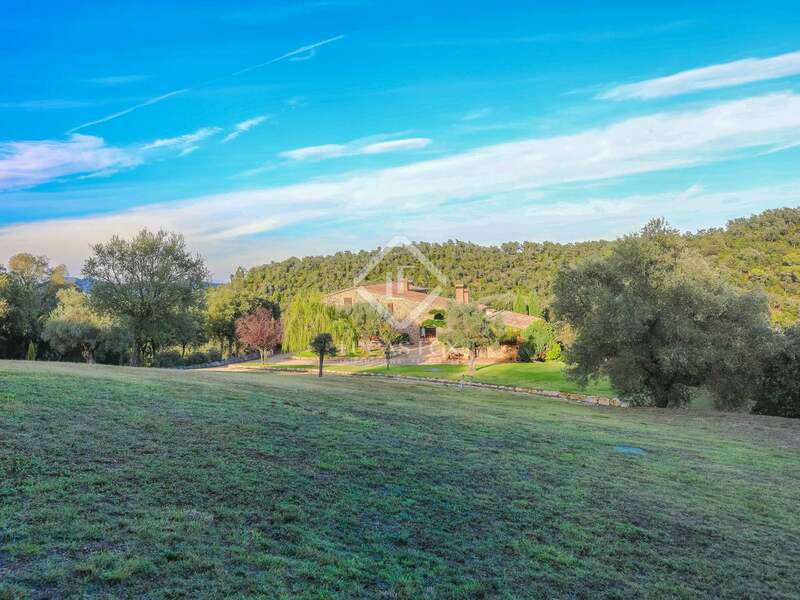 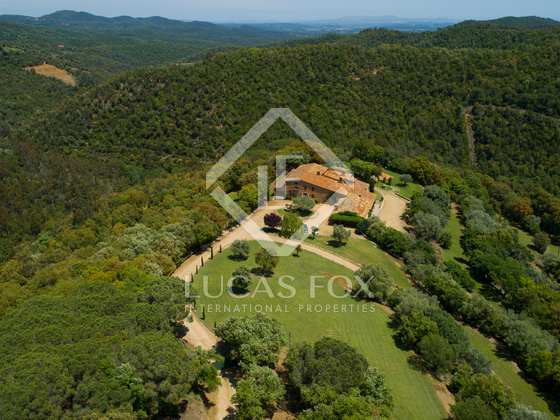 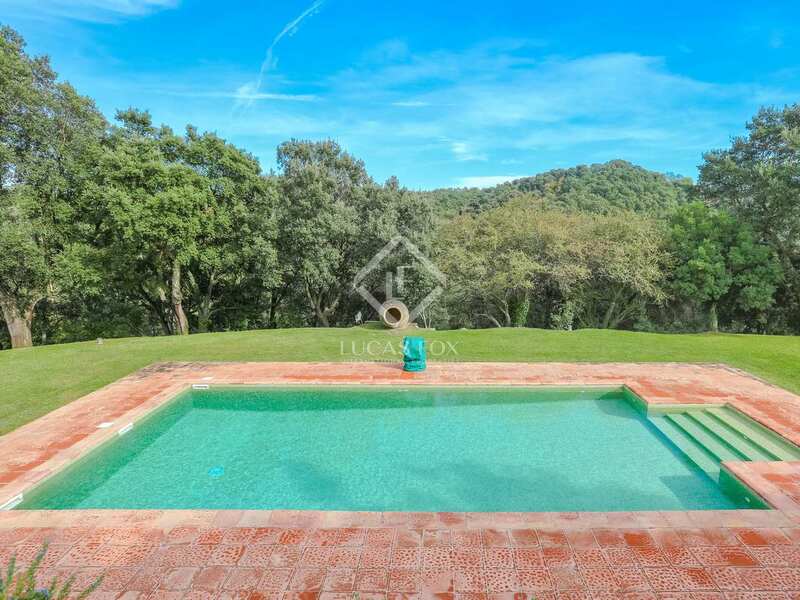 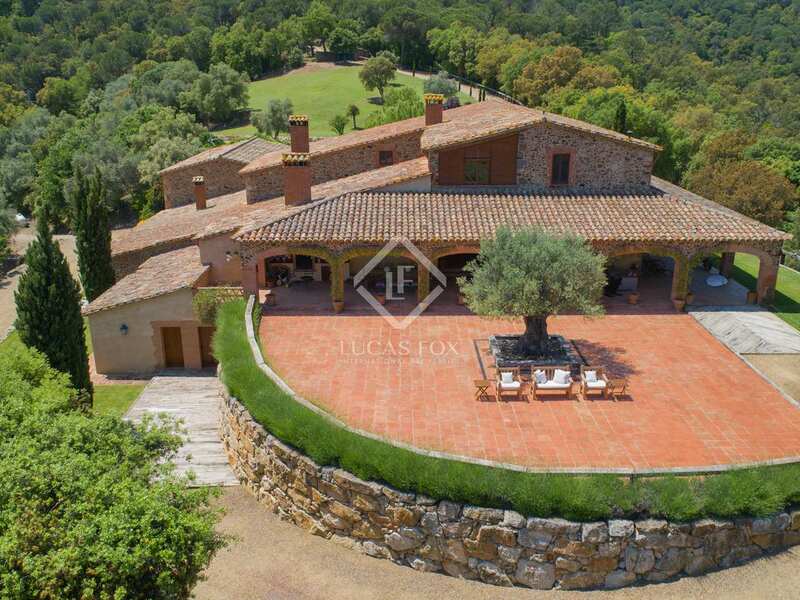 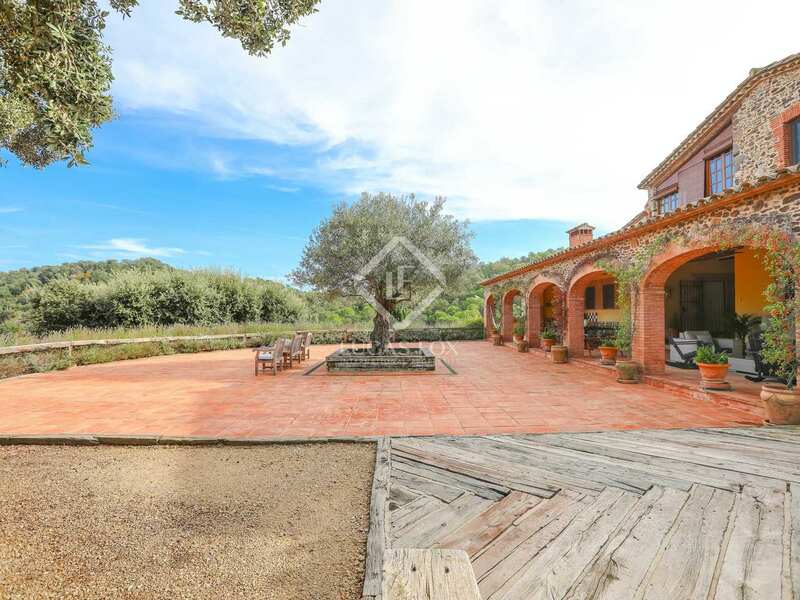 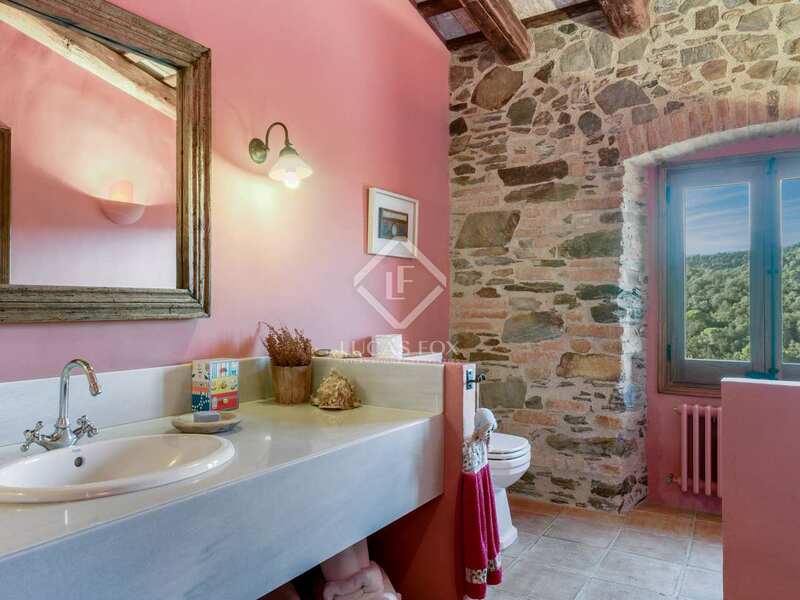 This exclusive Girona country property to buy is located in the heart of the Les Gavarres Natural park, approximately 6km from the town of Cassa de la Selva and only 16km from Girona city and its international airport. 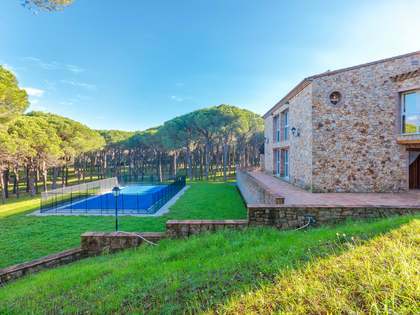 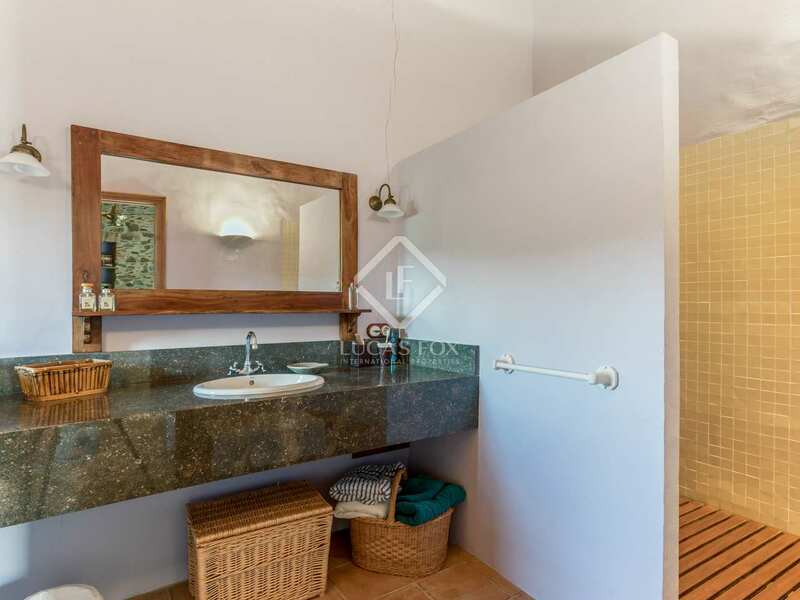 The property also enjoys excellent access to the beaches of the Costa Brava at Sant Feliu de Guixols and S'Agaro (26km) and to Barcelona city (105km).